Collections of annual regulatory reports, high quality English translations of official documents and comprehensive analysis of AP regulations. 1. Membership FAQ ? 2. Payment method ? Complete the order form and send it back to us by email: cosmetic.chemlinked.com or fax: +86 571 8700 7566 . Members in other region/countries except for Ireland could pay to REACH24H CONSULTING GROUP which could be tax-free(only USD accepted). Members in Ireland are subject to 23% VAT. 1.What are the main differences among the three types of memberships? Free membership allows you to have limited access only to the unlocked regulatory news, Cosmepedia, free ebooks and inventory toolbox. You will be informed of regulatory updates by our bi-weekly newsletter after signing up as ChemLinked Users. Standard membership is individual-based and offers all resources (except for Cosme-list and affiliate publication) already available on the ChemLinked Cosmetic Portal, which is more suitable for an individual or one person from a company. However, the affiliate publications should be additionally charged. Corporate membership allows users <=20 from one company to enjoy unlimited access to all resources (except for affiliate publication) already available on the ChemLinked Cosmetic Portal, which is more suitable for large cosmetic companies or multinational enterprises who are in need of using ChemLinked by more than one staff. Special membership is for multi-users more than 20 from one company to enjoy unlimited access to all resources already available on the ChemLinked Cosmetic Portal or for bodies, agencies, organizations, associations, chamber of commerce, or any non-profit centers, which have a group of members of their own and will potentially re-circulate our resources to them. The membership price will be evaluated and determined based on the property and the number of the members of the organization. 2.Why can’t premium members download the affiliate publications? The affiliate publications are provided by our affiliate company, so we cannot include them into the premium membership benefits. 4.Once subscribed can I have free access to ChemLinked other portals? ChemLinked 4 industry and 2 language portals run independently. Free access is only available within the subscribed portal. REACH24H Consulting Group, the founder of ChemLinked, has an internal cosmetic regulatory team consisting of experienced specialists with strong industry and academic backgrounds. The team assists manufacturers, importers and downstream users to meet the requirements of Asia Pacific & Europe cosmetic regulations and facilitates the most efficient and cost-effective access to the marketplace. ChemLinked Cosmetic Portal was created by REACH24H Consulting Group to provide cosmetic regulatory information primarily for China and the rest of the Asia Pacific region to meet the growing demand for clear and concise regulatory advice and market intelligence. As the leading multilingual regulatory information platform for China and the rest of the AP region cosmetic regulation, ChemLinked Cosmetic Portal has gained unparalleled popularity among cosmetic regulatory professionals, business directors, etc. 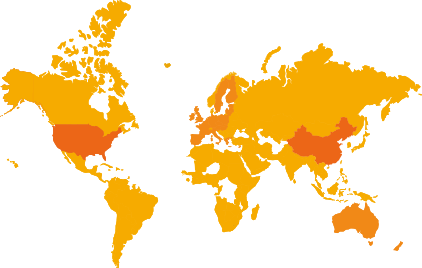 By advertising with ChemLinked, you could share our impressive web traffic from across the globe. ChemLinked provides an on-demand translation of cosmetic regulations and standards for companies at home and abroad. Please submit your request for a quotation. If the English versions of regulations of your concern are already included in our translation store, please go to the translation section and purchase directly. ChemLinked can compile bespoke research and analysis reports on any aspect of China and the wider AP region’s cosmetic regulatory frameworks. Please submit a request for a quotation.